It is Christmas Eve at Buttercup Cottage and Little Red and her friends are getting ready for their trip to Christmas Tree Wood, where they will deliver sugary cinnamon sticks to the mouse family and delicious treacle shortbread to the robins. But as they approach the Wood, they find that Little Red’s friend Father Christmas has a big problem: instead of eight reindeer, he has only seven! 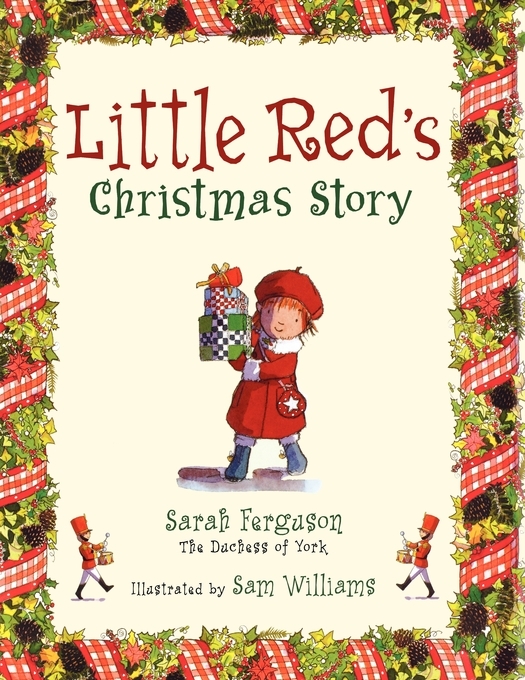 Thanks to Little Red’s sack of smiles, Roany the Pony is filling in for Ronald the reindeer, Little Red is helping Father Christmas make up for lost time delivering gifts, and Little Blue is making Buttercup Cottage ready for his friends when they return. It’s Christmaspuddingtastic! Sam Williams is the author, illustrator, and designer of numerous picture books for young children. Some of the books he’s lent his talent to include Babycakes and Baby I Love You by Karma Wilson. He recently put down his paintbrushes and took up the challenge to climb Mount Blanc. Sam lives with his wife in Hertfordshire, England.